669 killed in Ethiopia violence since August – Royal Times of Nigeria. Ethiopia’s state-affiliated Human Rights Commission says six hundred and sixty-nine people have been killed in the wave of anti-government protests since August 2016. This brings the total death toll since the unrest began in late 2015 to more than nine hundred. The commission, which was mandated by parliament to investigate the violence, presented its long-awaited findings on Tuesday. 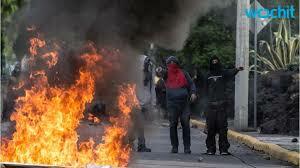 It blamed a lot of the violence on opposition groups, saying that security forces in some places had no choice but to respond with lethal force. The report said police used “proportionate force” in most areas during the unrest, but could have provided better security during the rallies. 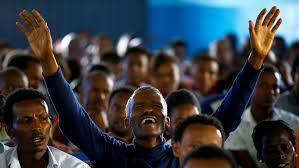 Ethiopia declared six months of emergency rule in October after almost a year of anti-government violent protests by activists from the Oromia and Amhara regions, who had been complaining about political and economic marginalization.